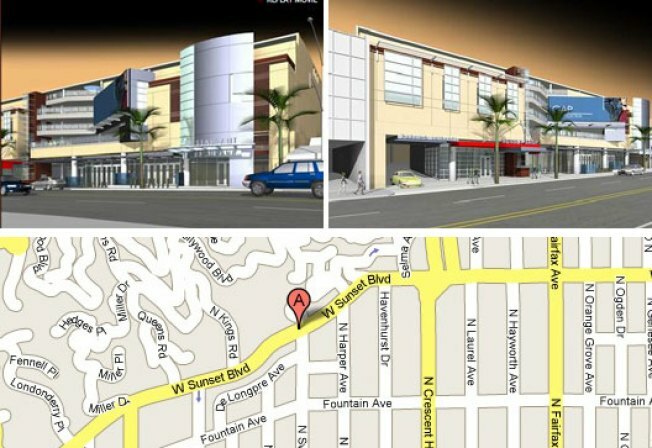 More development for WeHo residents to rally against: The Beverly Press'Amy Lyons reports that the West Hollywood Heights Neighborhood Association is asking residents and stakeholders to come out to tonight's neighborhood council meeting and "voice concerns" about a proposed mixed-use development at 8305 Sunset Blvd. Currently undergoing an environmental impact report, the project--planned for a vacant lot next to the Cabo Cantina restaurant--would include a 11,691 square foot commercial building, a restaurant on Sunset Blvd and 177 parking spaces. Chief among the concerns seems to be parking: Elyse Eisenberg, chair of the WHNA, tells the paper the structure will charge such high parking rates that locals will poach neighborhood street spots, and worries the lack of a left turn lane into the building for cars heading east on Sunset (she believes that drivers will use Sweetzer to make a U-turn). This project joins the Tasty Donut WeHo proposed project on the list of projects making WeHo residents worried about parking.